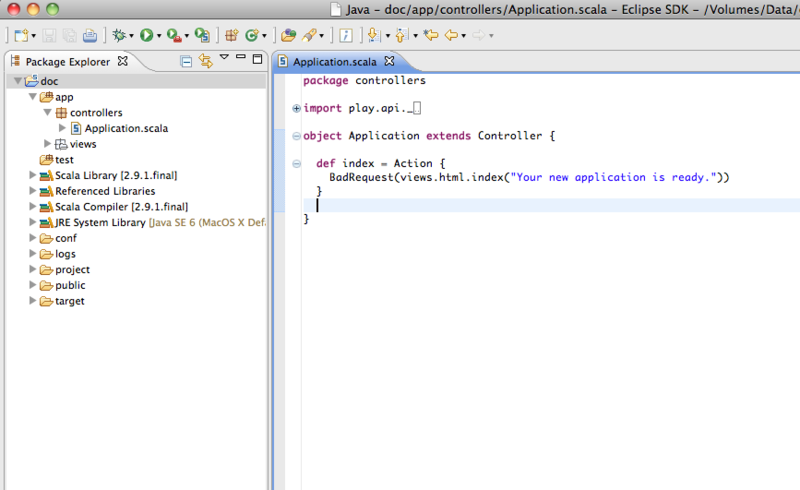 Integration with Eclipse requires sbteclipse. Make sure to always use the most recent available version. Enter ‘gen-ensime’ at the sbt shell. The plugin should generate a .ensime file in the root of your Play project.